Potassium flame test. 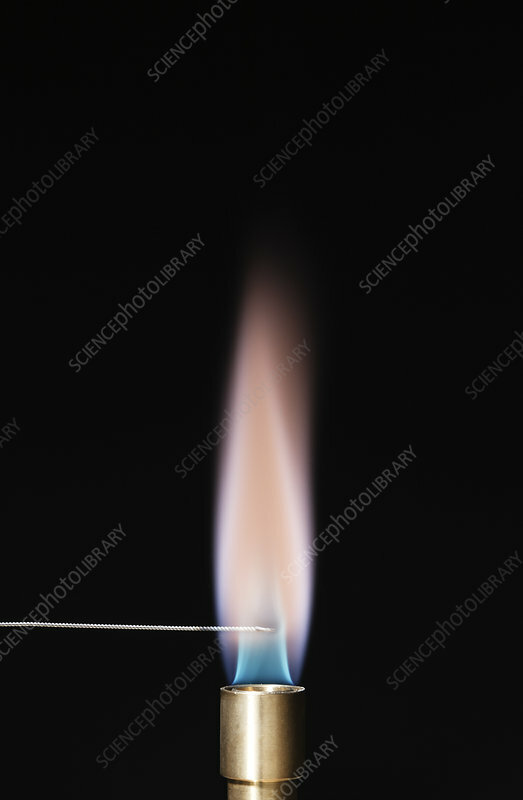 Nichrome wire loop is dipped into a solution of potassium chloride (KCl) and brought into the flame from a propane Bunsen burner. The colour of the flame is determined by the element's emission spectrum which is characteristic to that element. Therefore, flame test can be used as an analytic procedure for identifying elements.